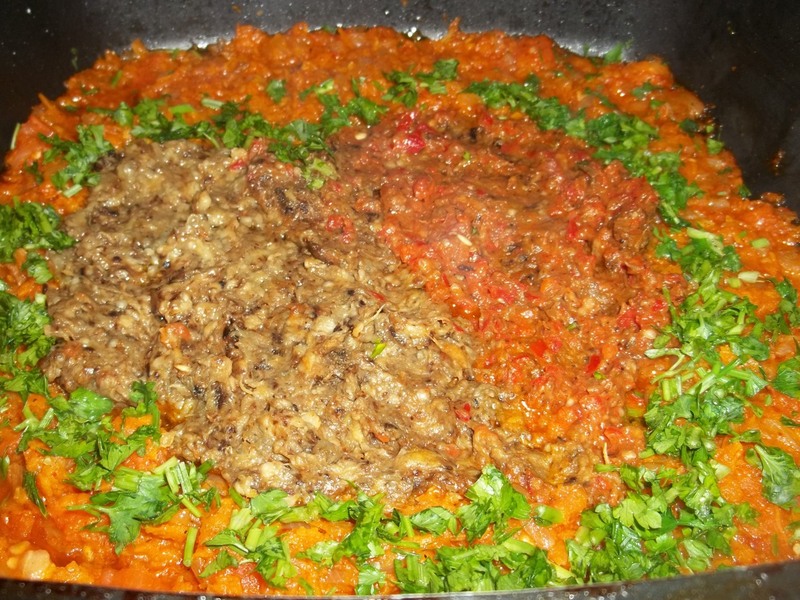 Eggplant dishes are very popular in Georgia and there are many variations. 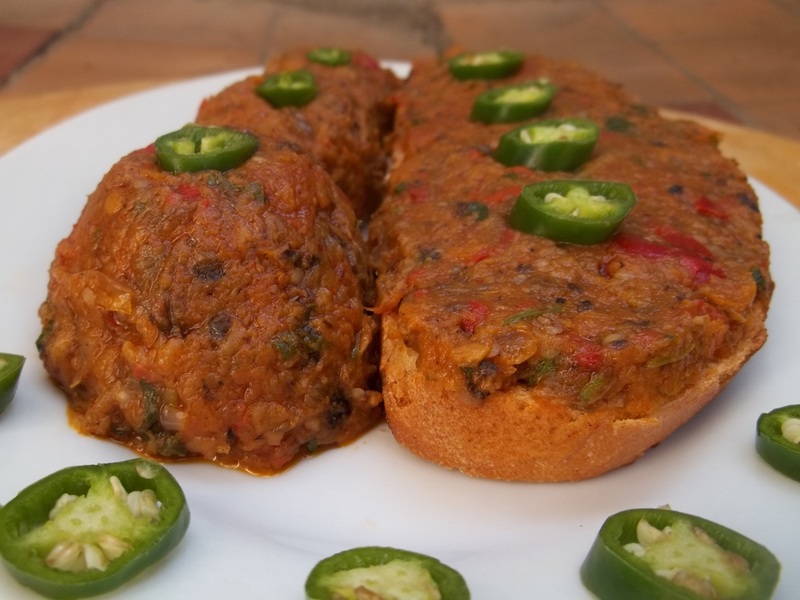 In this family recipe we show how to make eggplant ‘caviar’. 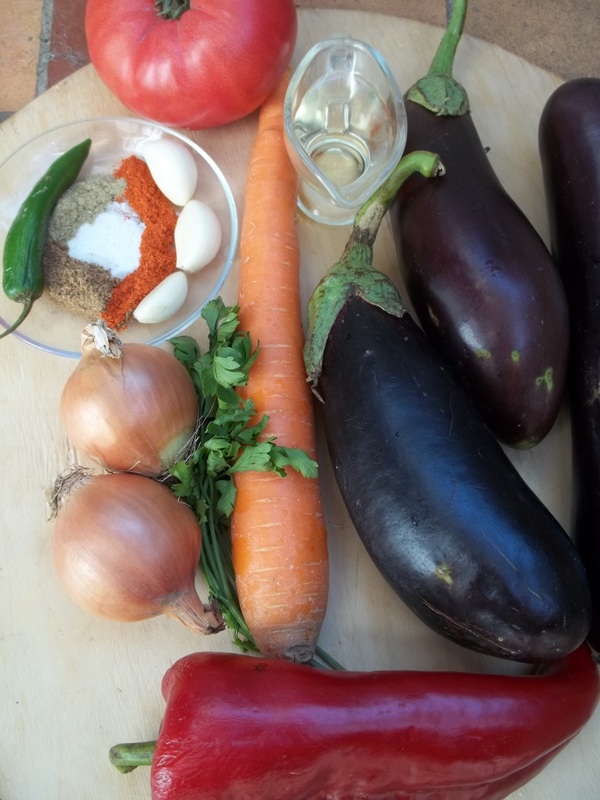 Ingredients: 3 large eggplants, 1 large tomato, 1 large carrot, 1 large sweet red pepper, 1 hot green pepper, 3 cloves of garlic, 1 level tbs of dried hot red pepper, 1 tsp of dried blue fenugreek, 1 tsp of dried coriander, 25 grams of fresh parsley, salt (amount dependent upon personal preference) and 10 tbs of oil. 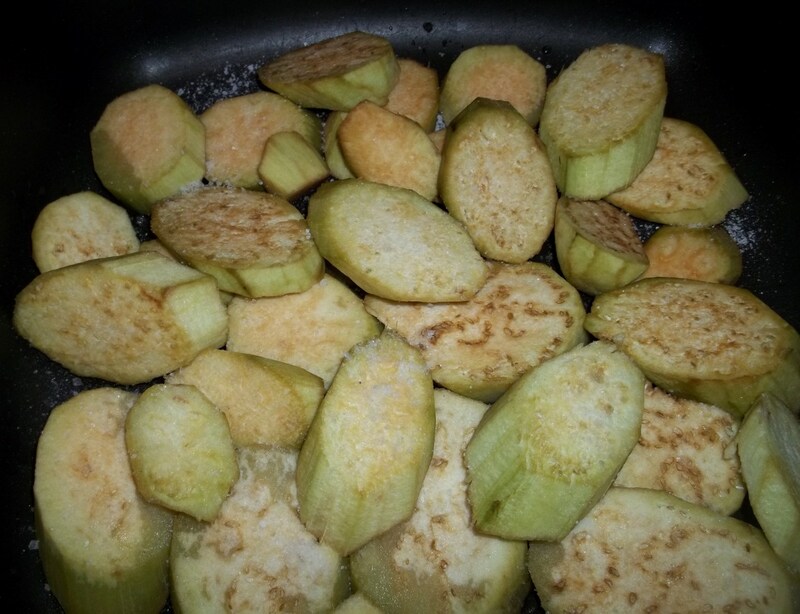 Preparation: Remove and discard the skin from the eggplant, slice and add, together with 6 tbs of oil, to a pan. Sprinkle with salt and fry for up to 15 minutes on a medium heat. 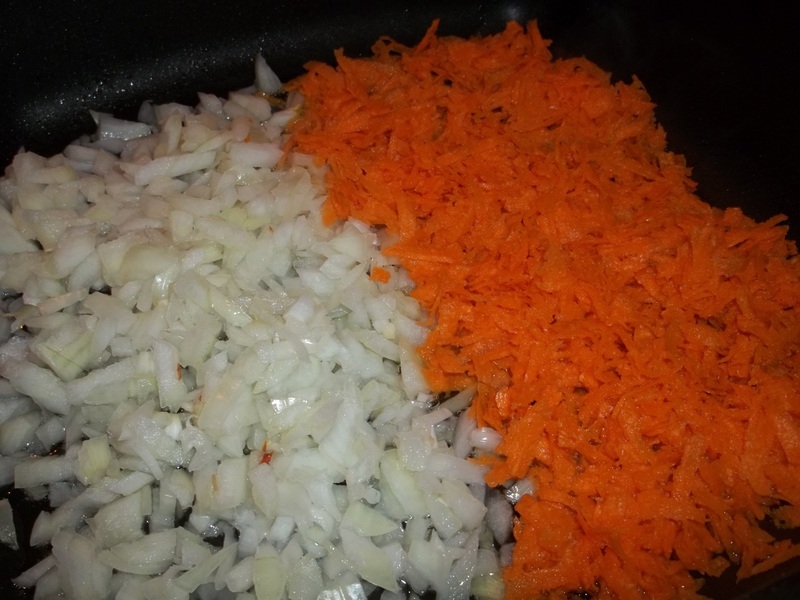 Finely chop the carrot and onions and add to a pan of 4 tbs of oil. 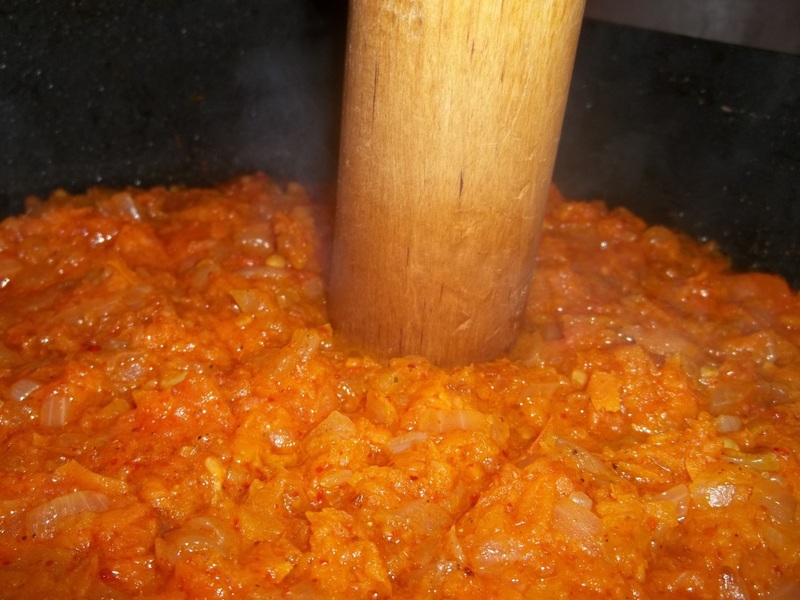 Fry on a medium heat until soft, stirring frequently. 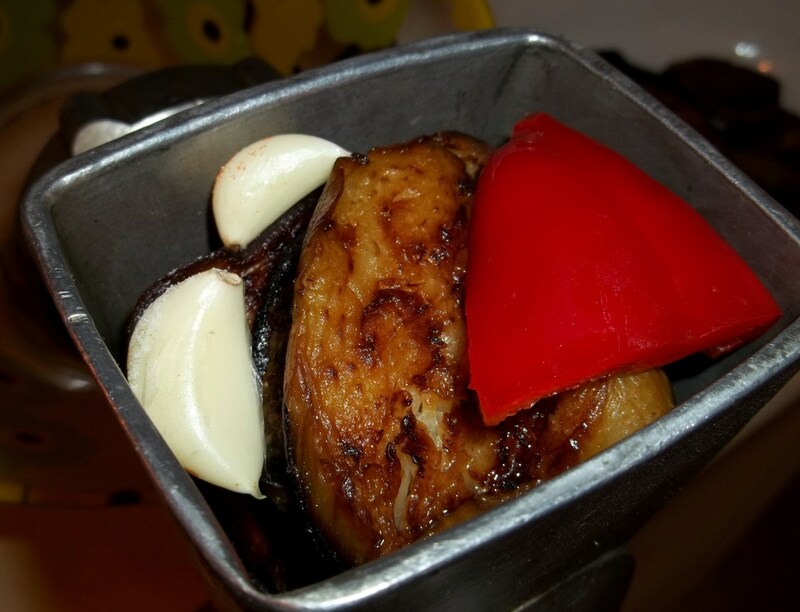 Cut the red pepper and crush together with the garlic and fried eggplant. We used a meat grinder. 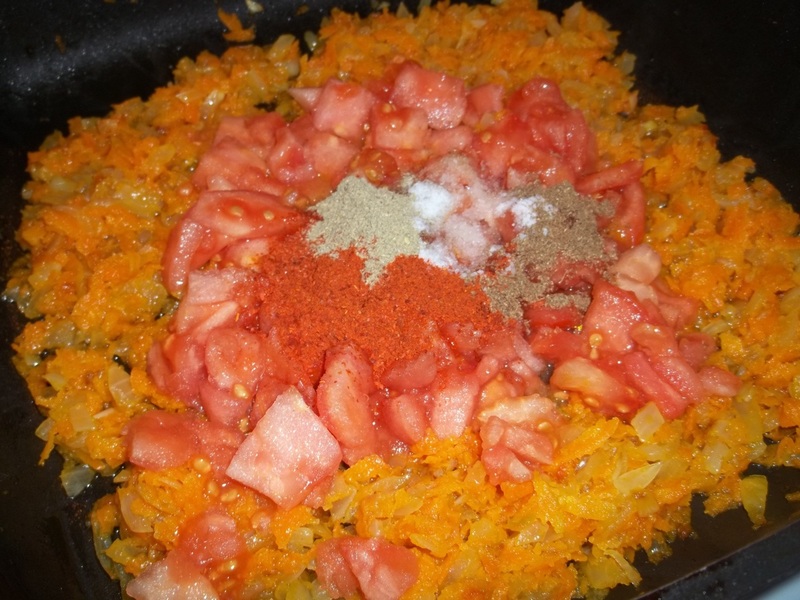 Chop the tomatoes and add, together with spices and salt, to the fried carrots and onions. Add the ground eggplant/red pepper and garlic. Finely chop and add the parsley. Stir thoroughly and turn off the heat. Serving: Serve hot. 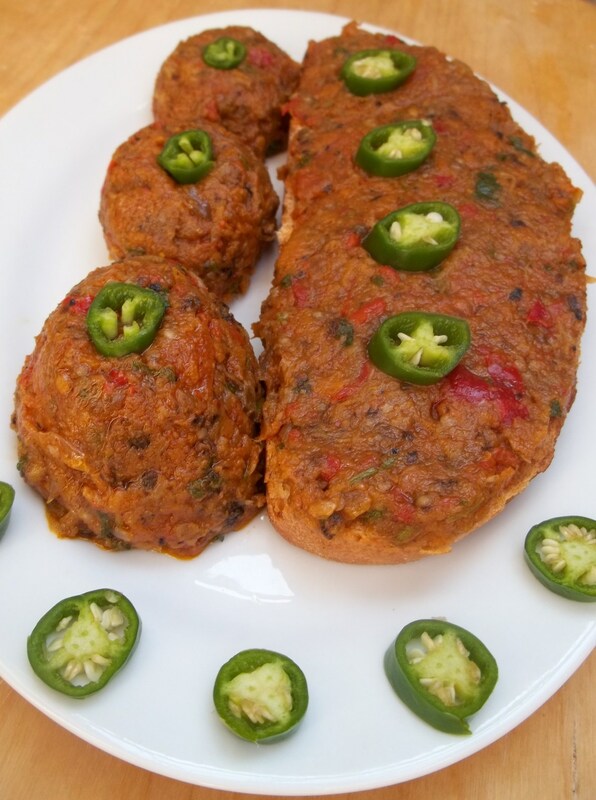 We molded some of the eggplant caviar into balls and garnished with sliced hot green pepper. We also spread some on toasted bread. It is also delicious served cold. This looks yummy! Especially that we are growing eggplants, peppers and onions. Cannot wait to try.